Years ago, when I first started using the Internet with younger students, I quickly grew frustrated with the amount of class time was spent dealing with typing errors as students tried to get to websites. Back then I used a Word document for each lesson. I would prepare the links ahead of time and then the students would just have to open the hyperlinks from the document. It made life so much easier! This eventually evolved into a class website. Students can navigate the web faster. At the beginning of the year they learn they type Ms Mondor into Google and my website is the first link. Once there, all they have to do is click on the links related to the lesson at hand. 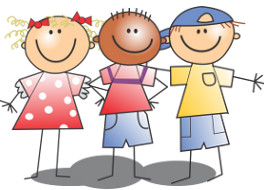 Students can use the class website at home to review concepts and share what they have learned with their families. I often do a "summary of the week" to support this. It is an automatic “bookmark” site. By the end of the year, I have a great collection of websites that I can use over and over again, year after year. Time. Setting up an effective class website takes time. I believe it is worth it, however. Skills. Creating and maintaining a website involves using an online program (I’ll discuss some options below). You may have to invest some time into learning the skills required. Keep It Simple! It is easy to look at other websites and get overwhelmed at how amazing they are. Start small and remember your ultimate purpose is to create a tool that will simplify your students’ experiences online. There are many free options out there if you want to create a website. I like wordpress.com and I know that Blogger is another popular site. Please post a comment if you use another site and what you like about it. 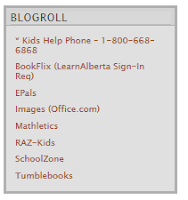 I use Wordpress’ “blog roll” to store regularly used websites. My students use Mathletics, SchoolZone, Raz Kids and Tumblebooks regularly. So I have these permanently stored at the top of the page for easy access. I use Wordpress’ pages to create a page for each subject area. This is where I store websites that we have already used as a class. I add to these pages throughout the year. I use Wordpress’ “blog post” function to create posts for specific lessons or centre work. I often delete or modify blog posts after the relevant lesson is over. Google sites are easy to create and offer a variety of templates to build from. I had no experience with building a website when I created the “Great Grade 1 Websites” site and in an afternoon I had curricular pages with at least one link on each. One of my main objectives was to create a site the students could navigate independently. I followed the apps model and used pictures as links to websites we have used. It is easy to embed movie clips and other links to curricular content that will support student learning and involve the parents. This gives students the opportunity to review movies that have been watched in class, to reinforce concepts or enrich their learning by having a conversation about these topics with parents. Even though the site is a work in progress it is included as a resource link on SchoolZone for my class. The students enjoy going to see what is new as well as playing the games! Including it on SchoolZone also provides easy access so students can find it independently. If your school uses SchoolZone, you may want to use your class’ SchoolZone page as a class website. You could create an ‘event’ for a lesson that includes hyperlinks. The resources page can be used to store websites students have used in past lessons. There are many excellent class websites out there. If you are not ready to tackle developing and maintaining your own yet, then use someone elses! I will try to collect/add sites that you may find useful as a portal. I would love to hear your stories about class websites. What have you learned? What to avoid? What works great.